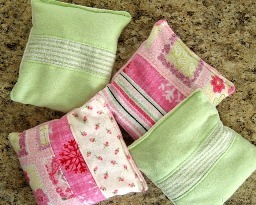 Chris from Pickup Some Creativity shows how to make these soft flannel icy-hot packs for boo boos. Keep them in the freezer and you’ve got a cold-pack on the ready. Need a hot pack? Just pop it in the microwave. Get the how-to.